In the eyes of the law, a corporation is a group of people that can act as an entity, in which individual people cannot be sued. Since it is considered a single person, a corporation can bring lawsuits and buy and sell property, as well as be taxed separate from the individuals behind it. Because of that, a corporation is able to protect its owners from personal liability over the debts and obligations that the company has. One of the benefits of incorporating a business is that it will continue to exist, even if an owner dies. This is because the corporation is considered wholly separate from the individuals who run it. The only time it ceases to exist is when it achieves its objective, merges with another company, or suffers bankruptcy. Otherwise, it will continue to exist indefinitely. Another good thing about incorporating your business is that shares become transferable. The shares or stocks that you have invested in a business can readily be sold or transferred to another person (e.g. a family member). If a business is incorporated, more investors are attracted to the company and thus, owners have the opportunity to increase investment capital. More investors take interest because of limited liabilities and efficient transferability of the shares. Other benefits of incorporating a business include the protection of owners from personal liability regarding the company’s debts and obligations; the availability of a legal precedent to guide owners; and, under certain circumstances, can create tax benefits. How Does One Incorporate a Business? The first thing to do is to contact the office that handles corporation registrations in your state. Simply ask for instructions, forms that you need to fill up, and fees that you need to pay. 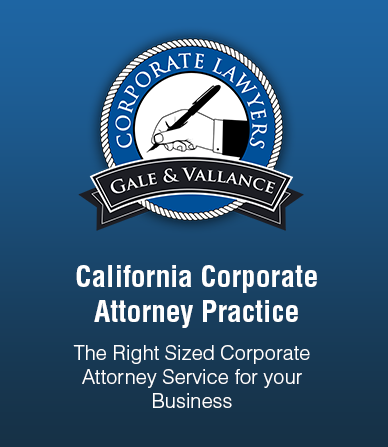 It is beneficial to have a corporation attorney help you with the process of incorporation, so that everything is done smoothly. Although it is less costly to complete the process yourself, but having a corporate lawyer will speed things, as well as ensure that every detail is covered. One of the things that you need to prepare when incorporating a business are the articles of incorporation. These articles of incorporation contain information, such as the name of the corporation, the purpose for its existence, the length of its existence, the names and contact details of the individuals incorporating, the exact location of the company, etc. Some states provide printed forms for these articles. You can choose to fill these up yourself, or let a corporate lawyer do it for you. Although the articles of incorporation will contain information on how the corporation will be run, you also need to create a detailed set of bylaws of the responsibilities of shareholders, managers and officers; schedule of meeting, etc. Who Plays Important Roles In The Corporation? Firstly, there’s the board of directors. The articles of incorporation enlist the original set of directors. The directors oversee the company’s officers and make sure that the company adheres to the law and corporate procedures. Then there are the shareholders or stockholders. These are the people whom the corporation has granted stocks or shares of the company in exchange for money they paid, or for the services they have performed for the corporation. These people meet annually to elect the board of directors. Finally, there are the officers. The officers of a corporation include a Chief Executive Officer (CEO) and/or a president, a secretary and a treasurer.